Kit to enable a flocculant (e.g. 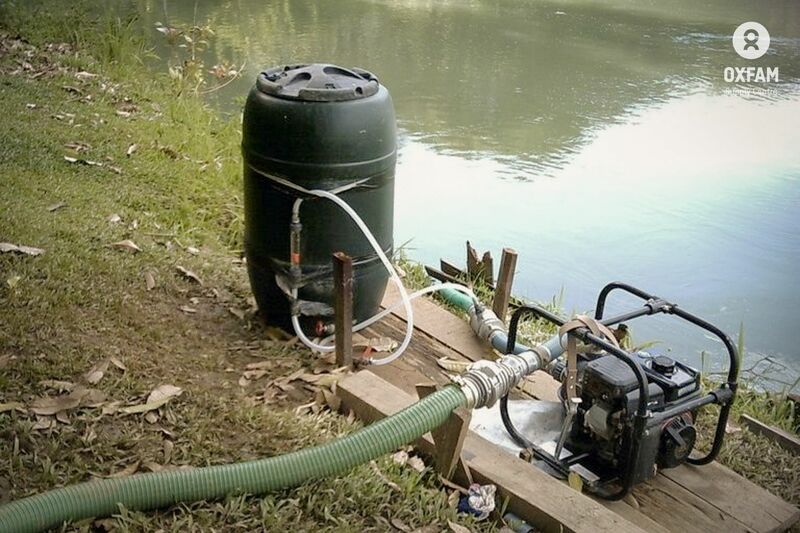 Aluminium Sulphate solution) to be added to raw/surface water, on the suction side of a pump. This is used where a water treatment facility is being set up in the field. 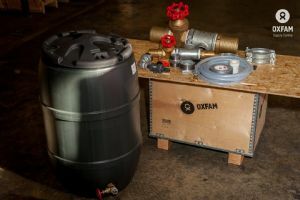 The equipment could also be used to dose disinfectant (chlorine solution) in pumped supply, either within a treatment system or in water distribution. 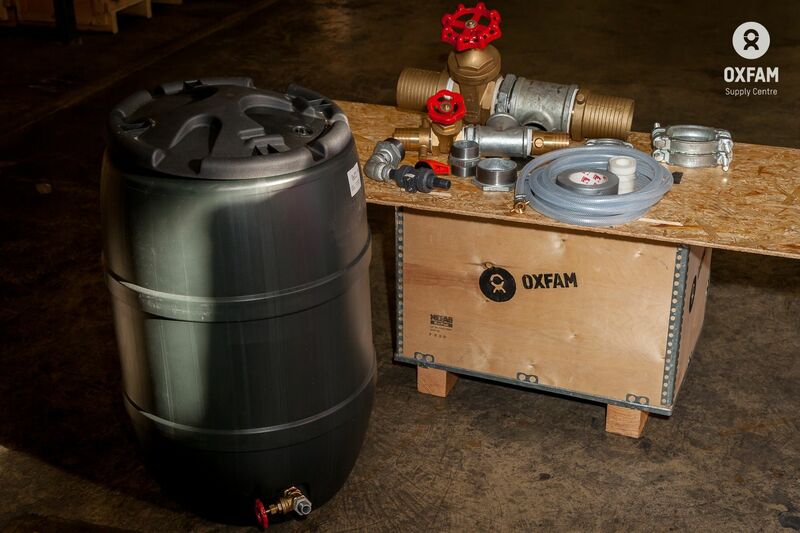 The kit contains the fittings to be used with 2", 3" or 4" suction pipes (all Oxfam pump kits). Flocculant, of a known concentration, can be fed into the suction flow at a controlled rate which causes effective mixing in the pump and delivery pipe. 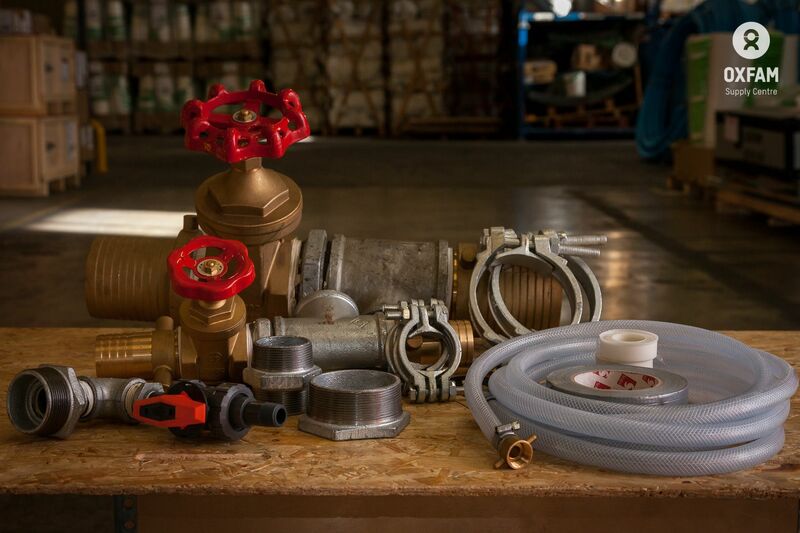 In some situations this kit can be used for adding chlorine solution to a pumped flow (i.e. where the raw water is of very low turbidity or where treated water is being pumped between treatment tanks). 2 Each Hose clamp, bolted, 4"
2 Each Hose clamp, bolted, 2"